If you’re totally new to this world, you might want to read this post first to get a sense of how exactly a blogger earns revenue from their website. This income report won’t go into as much detail about each revenue stream. It’s really just a list of revenue, expenses and profit. 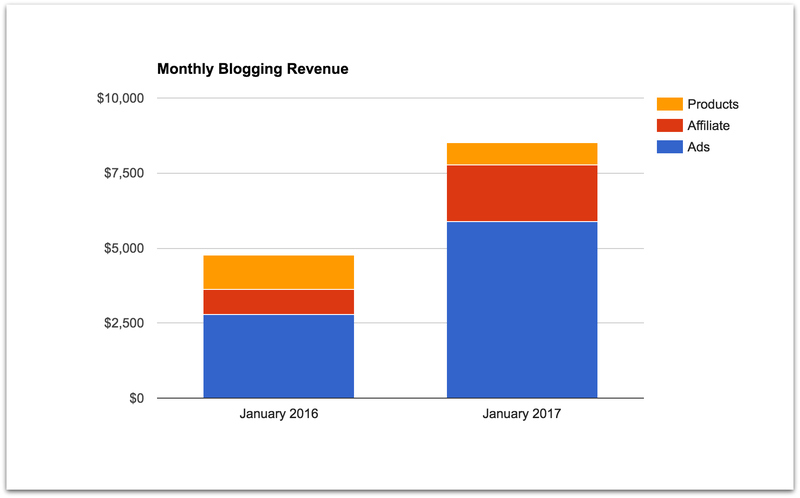 I never really know what to expect for January and February, in terms blogging revenue. My site, The Modest Man, is a men’s style blog. Given that it’s monetized primarily through advertising, sponsorships and affiliate marketing, it should correlate pretty strongly with retail/shopping trends. For example, Black Friday and Cyber Monday should be the best days of the year for affiliate revenue, and November/December should be the best months for advertising and sponsorships. While this is sort of true, it doesn’t always play out that way. For example, you might expect sponsorships to go away in January and February, but they didn’t (I published two sponsored posts in January). And affiliate earnings don’t dry up either. They stayed about the same. Plus, since affiliate payments always lag behind by 1-3 months (after return/refund periods close), that revenue stream is usually strong in the first quarter. I guess my point is that revenue for a blog like mine isn’t as cyclical as you might expect – which is a good thing. 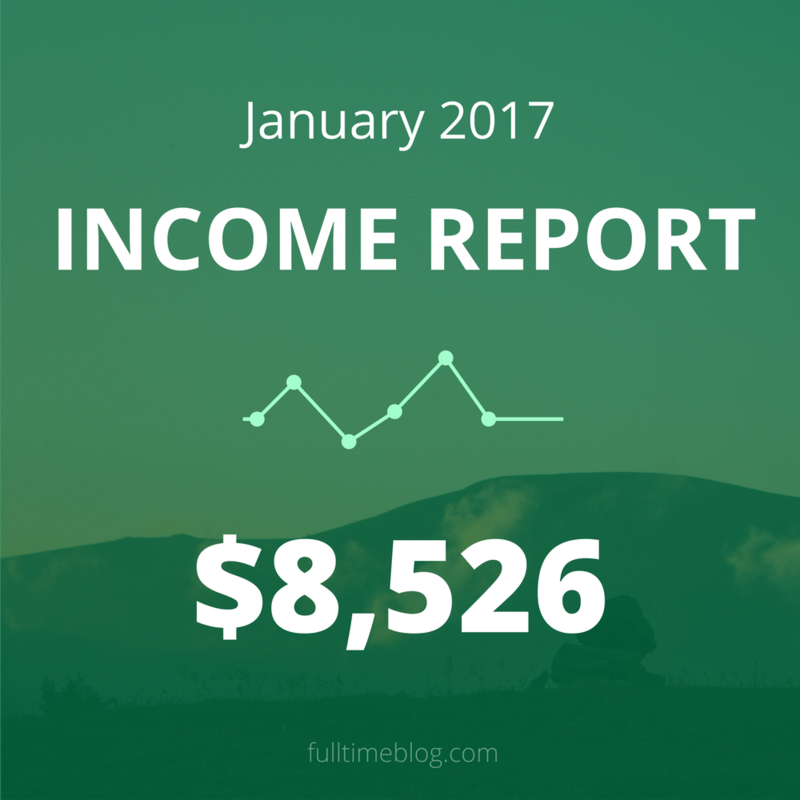 January revenue was up by 79% year over year (from 2016 to 2017), and the increase was largely driven by advertising fees and affiliate commissions. Sponsorships are sponsored content (articles and videos), or content that I create and publish on behalf of a brand (or after having been paid by a brand). Direct ads are banner ads that I sell directly to a client. In other words, they pay me and I place an image or gif of their choosing on my site (and link it to their site). This was down from last month because one of my advertisers didn’t pay their invoice. Affiliate earnings were down a bit in January, mostly because one of my channels didn’t pay out. They sometimes miss a month or make a pate payment, so it’s not a big deal (although slightly annoying). My only digital product – a style guide for shorter men – sold well in January, probably because the beginning of a new year is a great time for personal development. It’s never fun to have a down month, but in this case revenue was down because two vendors didn’t make their payments on time. No big deal! To get a more accurate idea of the business, you also have to look at expenses. Expenses were pretty low in January. Just the normal recurring stuff like web hosting, email service and software. So, even though total revenue was down, profit was up due to lower-than-usual expenses. Oddly, $7,795 is right around my monthly pre-tax income from my last “real” job. That makes me pretty happy! I’d love to hear from you. What do you want to see in these monthly reports? What would make them more helpful? Useful post dude. I like how plainly you lay things out and explain what is going on. How helpful is it to have people comment on your blog posts? Thanks! It’s helpful to get to know readers, but I don’t think it’s helpful for SEO or any other business reason. Do you mind sharing the amount of monthly page views?